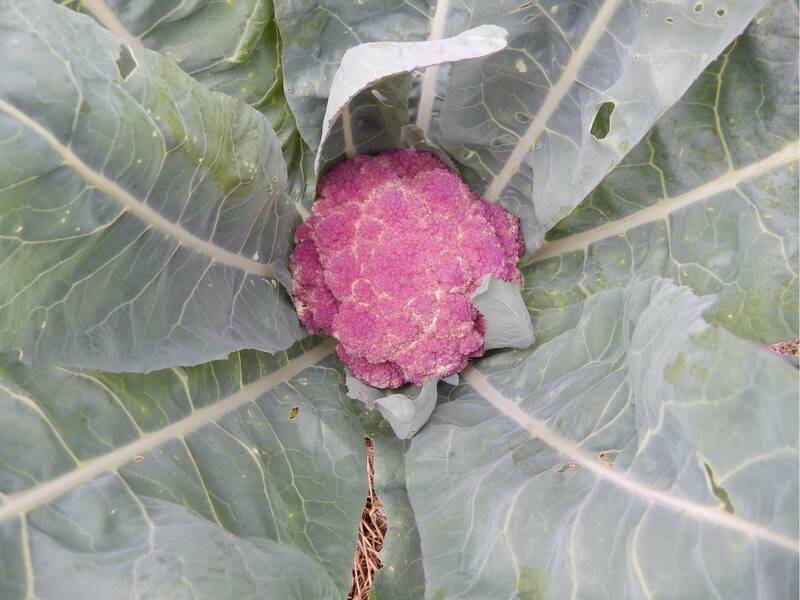 We have successfully grown some purple cauliflower. Amazing colour, it turns green when cooked, and looks like broccoli but it is a cauliflower, they are the same family of plants. Looking forward to tasting it, they reckon it tastes like cauliflower! We shall find out.